Introducing Jaguar fragrances that stylishly symbolize a strong personality and reflect a distinctive, modern scent and design philosophy, to satisfy a wide range of tastes. Ideal fragrances created for successful, self-confident men who is bold enough to wear a strong, masculine fragrance produced in the classic perfumery tradition.The brand brings to you some uniquely scented deodorants that keep you smelling fresh all day long. Explore the entire range of Deodorants/Roll-ons available on Nykaa. 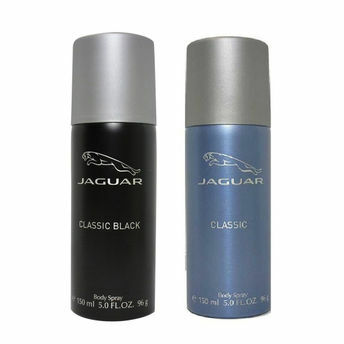 Shop more Jaguar products here.You can browse through the complete world of Jaguar Deodorants/Roll-ons .